In the wild, mice forage for grains, seeds and scraps of food. Your pet mice enjoy a balanced diet of rodent chow and scraps of produce. Mice eat 1/2 ounce of food for every 3 1/2 ounces of their body weight, so base the daily serving size on the weight of your pets. Pellet or block rodent chow takes care of most of your pet's dietary needs. Look for a rodent chow that offers 16 percent or more protein, 18 percent or more fiber, and 4 percent or less fat. Rodent chow should be available at your local pet store. Offer fresh drinking water to your mice using a bottle with a drinking tube. Your mice will benefit from the minerals found in natural drinking water, so there is no need to use distilled or de-ionized water. Offer a rotating selection of fruits and vegetables daily to your mice to add variety and nutrients to their diets. Mice have tiny tummies, so they don't need large amounts of fresh produce. Feeding too much produce might lead to diarrhea, gastrointestinal problems and obesity. Try bananas, apples, carrots, peas or broccoli, and see what your mice like best. While not necessary, Timothy hay makes a healthy snack for mice. Hay offers fiber and minerals to keep mice healthy. Your veterinarian can offer a more informed opinion on whether your mice would benefit from hay, based on a full evaluation of their diet. Your pets will enjoy burrowing and playing in the soft hay in addition to eating it. Avoid feeding hay that appears dusty or has visible mold on it. Do not feed your mice chocolate, candy or other junk food. Avoid giving uncooked beans, which expand in the stomach when eaten, as well as onions and peanuts to your mice. Corn may cause dry skin and itching. Stay away from cooked and processed foods, because these offer less nutritional value and may contain preservatives. Mice have personal preferences, and yours may dislike some food items. 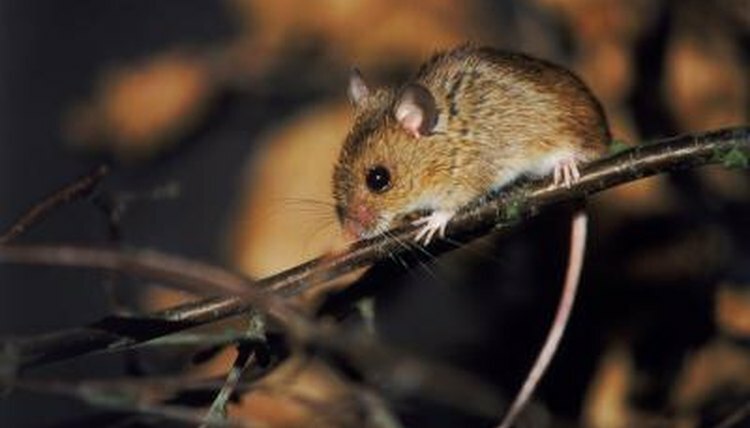 Once you know what your mice enjoy eating, tailor their diets accordingly.